Sixteen attacks were recorded as of 18:00 October 14 in the direction of the Ukrainian-held strategic port city of Mariupol, according to the report of the press center of the Anti-Terrorist Operation. "The enemy does not cease to use heavy weapons. Positions of the ATO forces in the areas of Shyrokine, Lebedinske, Vodiane, and Pavlopillia came under fire of 122mm artillery. Here, the enemy also fired 120mm mortars. Ukrainian positions in Talakivka came under fire from mortars of the same caliber, while in Maryinka and Krasnohorivka, the occupiers fired from tanks, infantry fighting vehicles, and mortars," the headquarters reported. 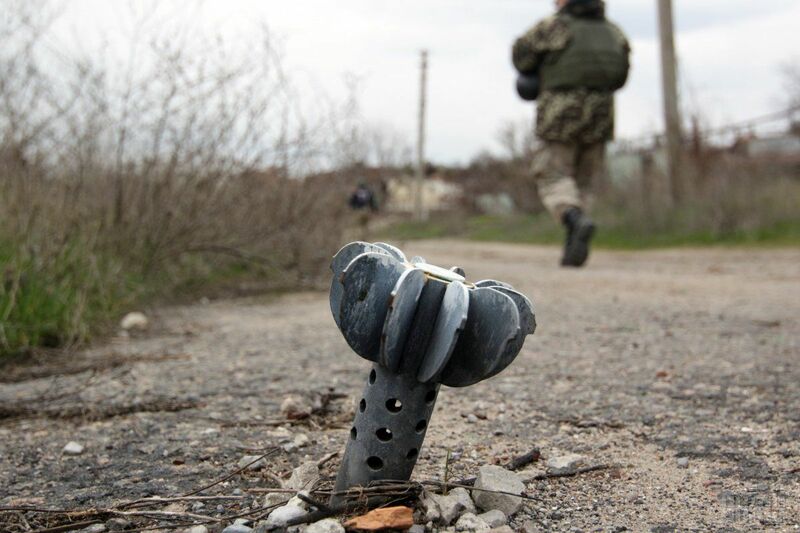 In Luhansk direction, four provocations against the ATO forces were made by militants, in particular in the direction Novo-Oleksandrivka – where the militants fired from grenade launchers of various systems. Read alsoDonbas militants have more tanks, artillery than German army - PoroshenkoIn the Donetsk direction, one shelling was recorded. In Avdiyivka the enemy used machine guns, grenade launchers, and small arms. As UNIAN reported earlier, yet another ceasefire had been declared September 1, with the beginning of the school year. However, the terrorists routinely violate the agreement. Since September, 19 Ukrainian troops have been killed in the ATO zone, while over 100 soldiers have been wounded in action.